Steel (1997): This film is truly great! 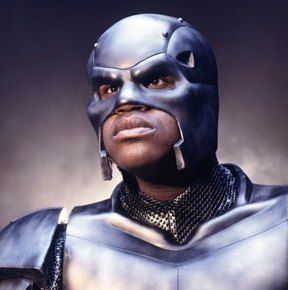 I enjoy Shaquille O'Neal in his movies and TV commercials. He's a funny, likeable actor. 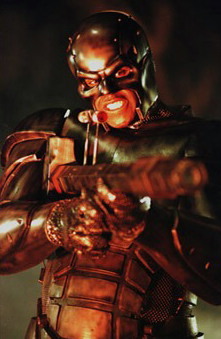 "Steel" is loosely based on the DC Comics character from the early-1990s. 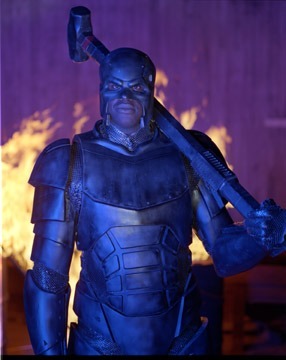 Steel, himself, is a character that originated during the popular "Death and Return of Superman" storyline in the comics and was then given his own series. As it were, there is no mention of Superman in this film. It would be hard to tie-in, anyway. You do, however, see Shaquille's "Superman" shield tattoo on his arm in one scene. The concept and look of the character is the same, though. John Henry Irons was a weapons designer who had an unhappy split from the trade and now fights against the very weapons that he helped create! 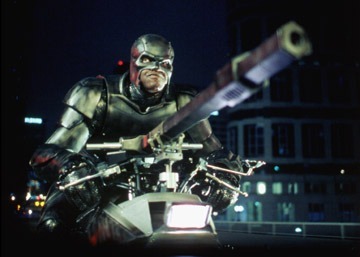 The steel suit, the hammer/laser weapon device, all of that is interesting to watch. In this film, Steel even has a motorcycle and a sidekick: a beautiful paraplegic he affectionately calls Sparky. "Steel" wasn't a really huge hit at the time. Why? It's hard to say. A lot of people don't want to believe that a basketball star can be a good actor. 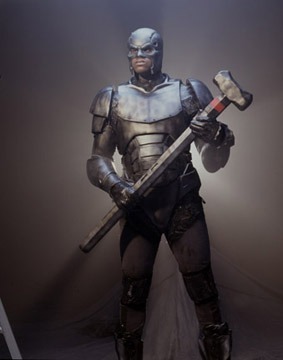 I really believe, though, that Steel wasn't a popular enough character in comics to have a successful film following. He wasn't even five years old when this big-budget movie was made! To be a huge hit, a superhero film has to be based on an extremely popular, well-established character that everybody knows. Superman, Spider-Man, Batman, Wonder Woman, X-Men...all of those have been around long enough and were around long enough when they were first made into shows to have a strong following. But business hype aside, "Steel" is an incredible action movie that production-wise was done right in every way possible. It's convincing and fun at the same time, and it has a lot of heart!